Ugh, I hate the 2WW. I’m going to keep it real. My willpower isn’t great. It’s actually pretty crappy when it comes to pregnancy testing. I’m pretty good at waiting for other things that I really want. But when I have several pregnancy tests that amount to maybe less than a dollar each…my willpower shrinks to nothing. So I’ve tested…a lot. Maybe too much. Yeah, negative. I think. Not sure. I really hate two pink line tests. 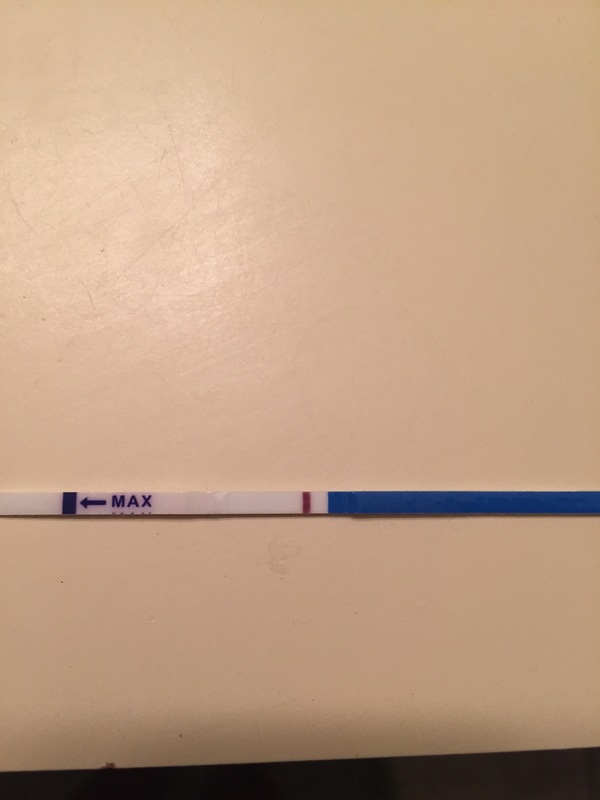 If you test too early, you think you see a line that’s not there. That was earlier today. It wasn’t even fresh morning urine (FMU). Historically, all of my positives came out sometime during the afternoon so I don’t know how true the FMU theory is, at least for me. But what I see up there is a negative. Given the fact my period is still a week away, I still have some time, though traditionally, my luteal phase is roughly 13 days. So I’m on my way to pick up some FRERs (First Response Early Results) since those have never lied to me. Le sigh. The TTC process is so stressful. Here’s a happy video of Bear to end this on a good note.